Unendlich is, despite the clearly German name (it means ‘infinite’, in case anyone was wondering) actually a US-based duo, one that has been playing and performing together under said German moniker for four years now. In that time they have produced two Full-length albums, both of which have been generally well-received. Misanthropic Sedition, their third endeavour into the world of publicing music, will see the light of day in the middle of next month, taking the shape of a six-track EP, spanning roughly half an hour – With two of these being cover song. All in all, Misanthropic Sedition is quite a pleasant release. 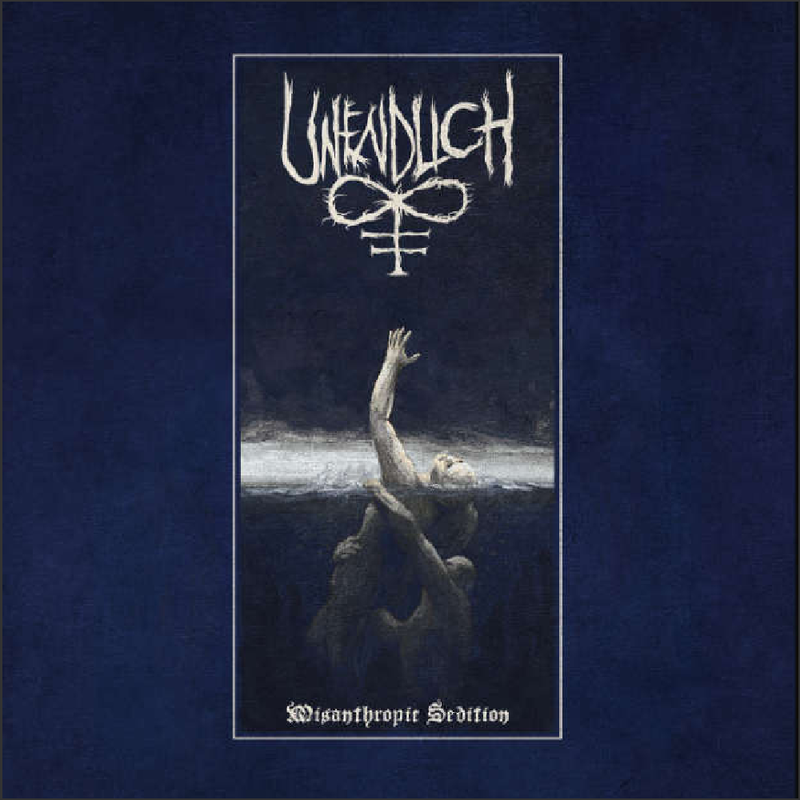 It is the first time that I have had the pleasure of listening to Unendlich and as such I can only relate to this particular album when talking about the sound of the band – Which I find to be an interesting mixture of traditional Black Metal and a more Gothic approach. In regards to their music this means that the band is still heavily distorted and dominated by growling vocals, while still making room for church organs, keyboards and the like by the simple but efficient approach of simplicity: Both rhythms and lyrics are kept very simple as well as somewhat down-paced compared to those that would have been considered their contemporaries twenty-some years ago. This has made room for tracks such as “Already Dead” a song that clearly draws heavy inspiration from early The Cure (more on this later) while still obviously being a Black Metal recording. A fascinating blend, to be sure. As I mentioned before, the EP also contains two Cover tracks, most likely to pay homage to their greatest influences either on this album or on their sound as a whole: “The Figurehead” a cover by the above-mentioned The Cure and “Where Dead Angels Lie”, a track originally written by the now legendary Dissection. A small gem to light the darkest month at the end of the year 2018, one I would recommend for any Black Metal enthusiast. Sadly I cannot link to any of their songs from the album, so I can only advise any who would be interested to keep an eye on their Bandcamp around the 14th of December (link can be found below). The band has released the first single from their album – “Misanthropic Sedition”. As of today it can be found below.